The Bicheno Caravan Park provides self-contained cabins and powered camp sites at Bicheno on Tasmania’s east coast. Their self-contained cabins can accommodate up to 5 guests in 2 separate bedrooms. 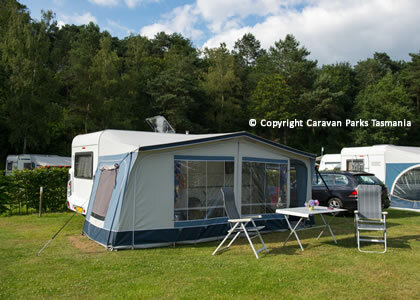 There are also onsite caravans available that sleep up to 6 guests. 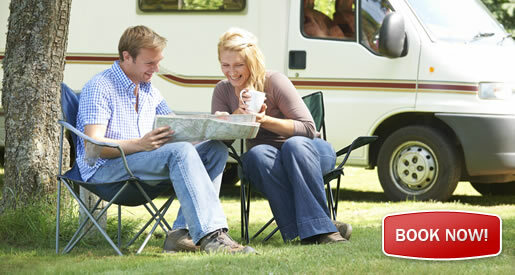 Powered and unpowered campsites are suitable for tents and caravans. An amenities block has showers and toilets as well as laundry facilities. The Bicheno Caravan Park Tasmania also has an outdoor barbecue area and plenty of space for children to play and enjoy the beautiful sunshine enjoyed by Bicheno on Tassie's sunny East Coast. Bicheno is app. over two-hours’ drive east of Launceston (175 kilometres). A short 30-minute away is the Freycinet National Park where you will find magnificent Wineglass Bay and a number of scenic bushwalks. At a range of nearby restaurants you can enjoy fresh local Tasmanian produce and sample fine wines at local wineries. See the Penguins in Bicheno with a small group tour allowing you to view these little birds up close in their natural habitat. The Bicheno Caravan Park park is ideally located to explore Tasmania’s east coast including vineyards, bush walks through native forests, fishing and lots of watersports such as sailing, kayaking, skiing and swimming. Walk along the local, sun-drenched beaches at Bicheno and experience an evening penguin tour at nearby Diamond Island where you and your family can watch the fairy penguins as they head up the beach to nest.